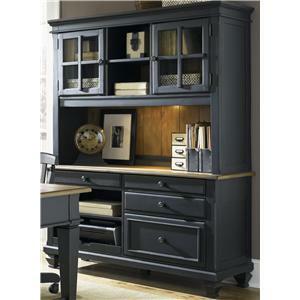 You can bring extra work space to your home office with help from this three piece desk and hutch set. 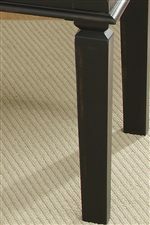 The set carries either a black or taupe finish with driftwood tops for a perfect complementary appearance. 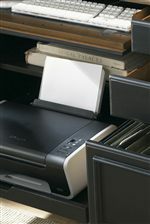 A pull-out keyboard tray, pull-out printer tray and lateral file are also included for added convenience while the two drawers are great for keeping books, CDs, pens and various office supplies. The hutch has two window doors, which are great for displaying books, framed photos and vases. Plus, touch lighting and space for wire management work just a little but easier. 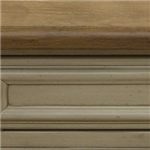 There will be a lot to like with this credenza and hutch in your home office. 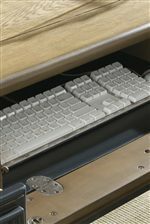 A roll-out keyboard tray is located in the center of the desk while two small drawers surround each side. The drawers are great for keeping books, notepads, pens, staplers and other office supplies. Plus, square tapered feet establish a balanced appearance. 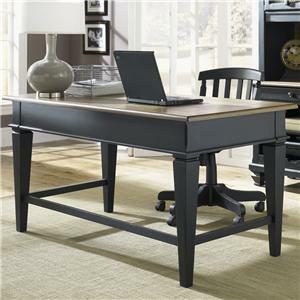 Make your home office complete with help from executive set. The Bungalow II 3 Piece Desk & Hutch Set by Liberty Furniture at VanDrie Home Furnishings in the Cadillac, Traverse City, Big Rapids, Houghton Lake and Northern Michigan area. Product availability may vary. Contact us for the most current availability on this product. 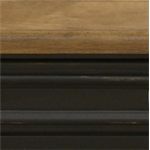 641-HO120 Jr Executive Credenza 1 58" 20" 30"
641-HO105 Jr Executive Desk 1 60" 30" 30"